For me, quiet, relaxing mornings are one of the joys of summer break. I am thankful that there is no need to get sleepy kids out of bed, no need to find backpacks and pack lunches, and no need to rush out of the house to make it to school before the morning bell. I welcome the change. At our house, (most of the year, but especially in the summer) the girls and I enjoy starting our day by creating; the girls wake up and start drawing before breakfast and I enjoy taking photos in amazing morning light. As the first full week of summer break started today, it seemed like the perfect time to set up the art table again. There is a need for a dedicated space where art supplies are ready anytime and where the girls can come together and create. So, after moving a bit of furniture around, I set up a place for them at the front window, and they immediately started drawing together. A few minutes later, their sweet pup joined them and all three sat together at the window. 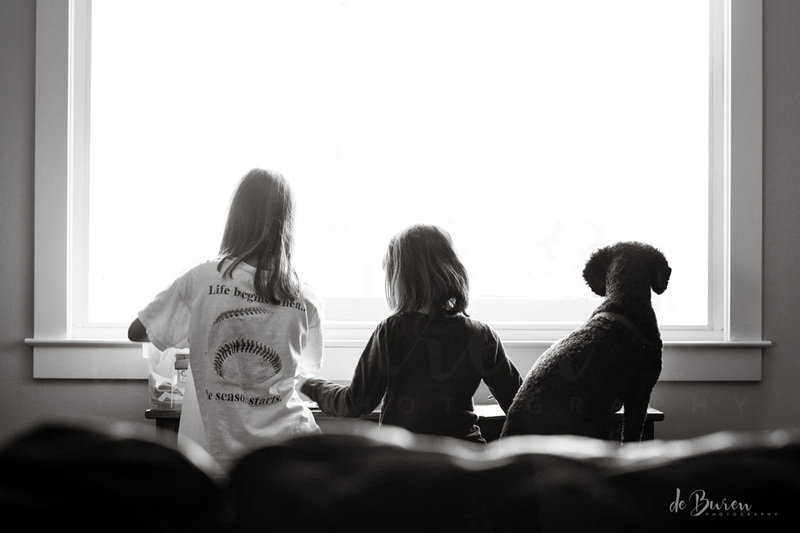 This entry was posted in 365 photo project, artwork, Black and White Photography, childhood, dogs, family, pets, Photography, Spanish Water Dog, Windows and tagged 365 photo project, amazing morning, art, art table, © Jean H. de Buren, black and white photography, childhood, creating, drawing, family, morning light, natural light photography, Nikkor 50mm 1.4 G, Nikon d90, sweet pup by Keep Opening Doors. Bookmark the permalink.